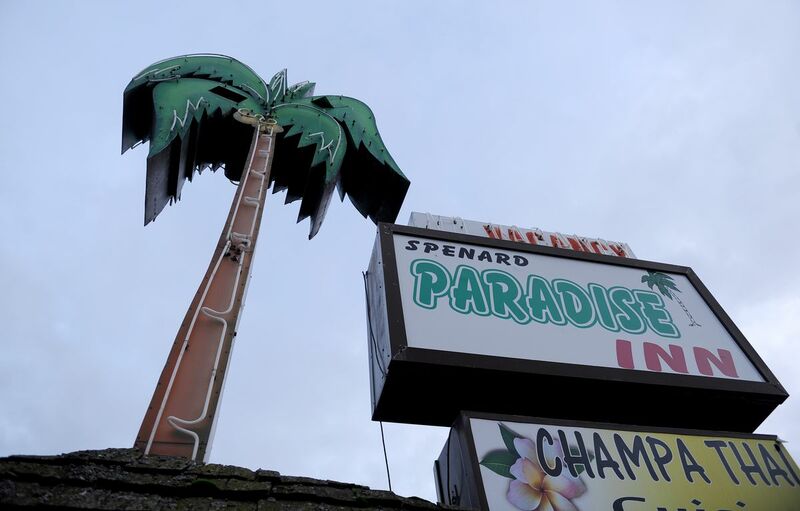 The iconic neon palm tree formerly owned by the Paradise Inn is coming home to Spenard. 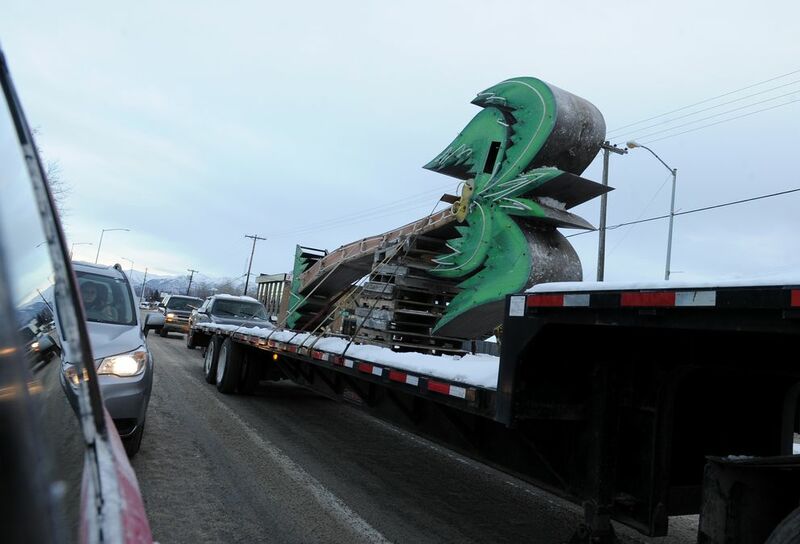 After the tree was seized by the government as part of a criminal drug case against the motel's former owner, Spenard locals banded together to buy it at auction, said Jay Stange, a teacher and community activist who headed the effort. An online fundraiser garnered $2,700, he said. Some 59 people donated, in amounts from $5 to $200. On Monday, Stange was notified that the Spenard boosters won the auction. There were no other bids. The 22-foot tree should be available for pickup as early as this week, after wire transfers go through, he said. "It's sitting under a tarp in a lot in South Anchorage right now," Stange said. "We're going to repatriate it." Plans are in the works for a homecoming parade. The tree will become a piece of public art but no decisions have been made as to where it will end up, Stange said. The sign, seized by federal authorities from what a criminal case called a motel-turned-meth haunt, symbolizes the neighborhood's underdog spirit, Stange says. "Spenard is the 'Bad News Bears' of Anchorage," he said. "We're constantly not invited to eat at the adult table." But the neighborhood is experiencing something of a renaissance, he said. The sign can be a symbol of that too. "As goes this palm tree, so goes our neighborhood."